When there are plenty of places to stash junk you don’t really need, it’s easy to fill up every available drawer and then find yourself unable to actually locate anything at all. If you’re looking for a bold way to force yourself out of this habit, perhaps going drawer-free is the way to go. Wouldn’t it be nice if you never had to dump out drawers, go through the contents and then start the process all over again? 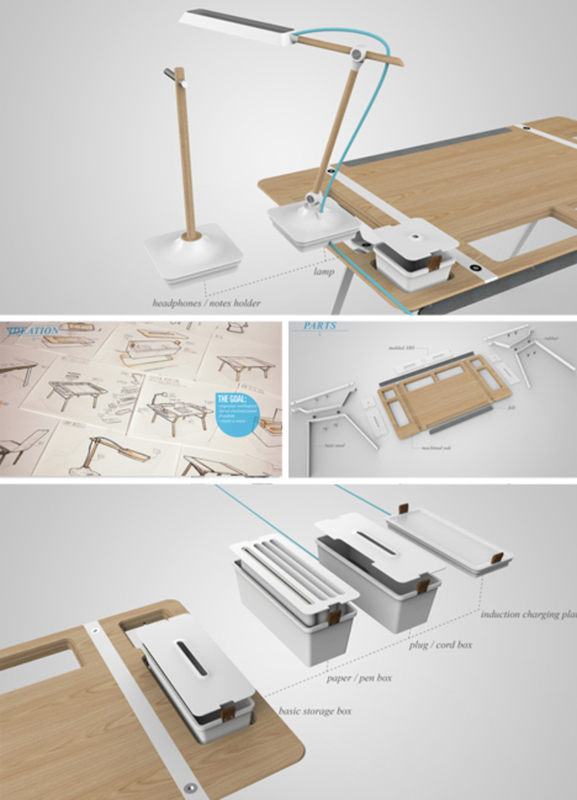 What if you could hot-swap pieces and parts of your desk remain continuously clutter-free and have on hand only what you need? 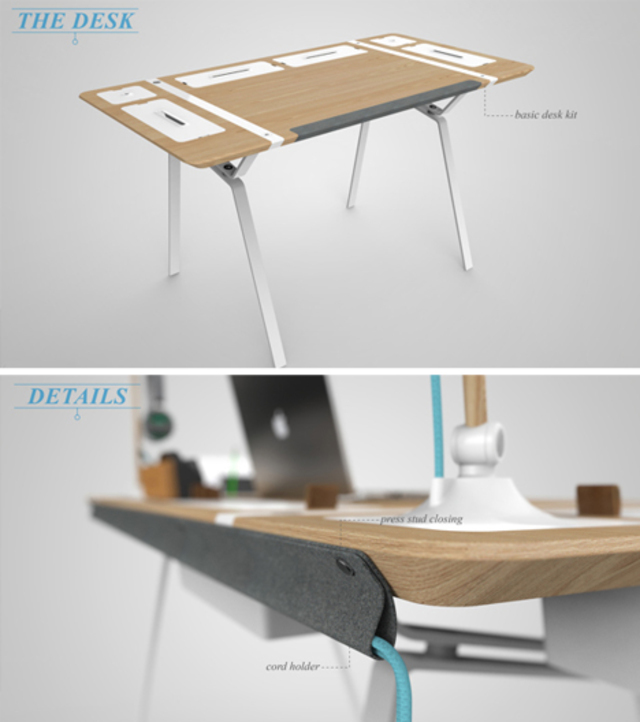 At first glance, this desk looks fairly minimalist. There are no drawers, no obvious compartments. Just a slim streamlined surface and some curious white shapes on top. But there’s a lot more to it than that. Let’s take a closer look. 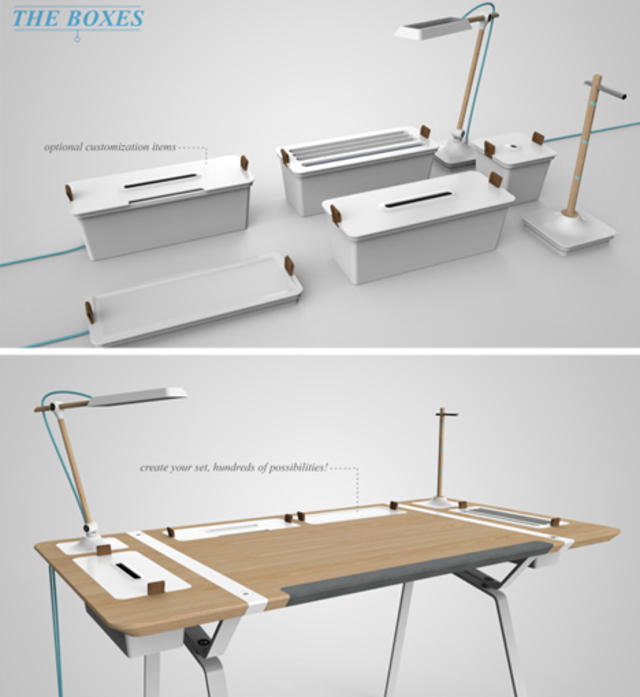 The clutter cutting desk design by Francois Dransart proposes a system of modular boxes that can be traded in and out to serve a variety of storage, lighting and other functions. 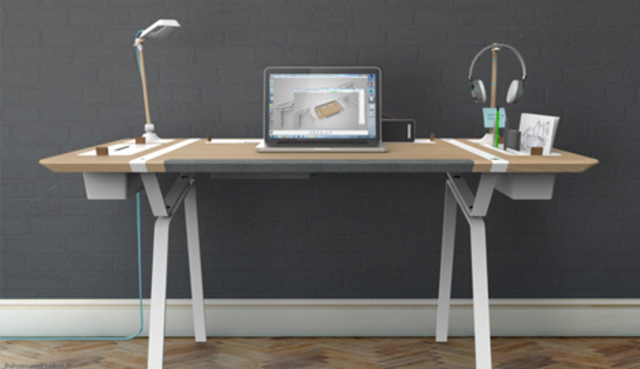 The basic legs-and-surface stay the same, but the slots allow one to optimize one’s workspace on an ongoing basis and take away unused items when shifting between tasks. Papers and pens can go in one box, cords in another – a charging plate can be swapped for more storage on demand. Leather for lift straps gives a nice warm touch to the white swappable parts and the wooden core details. 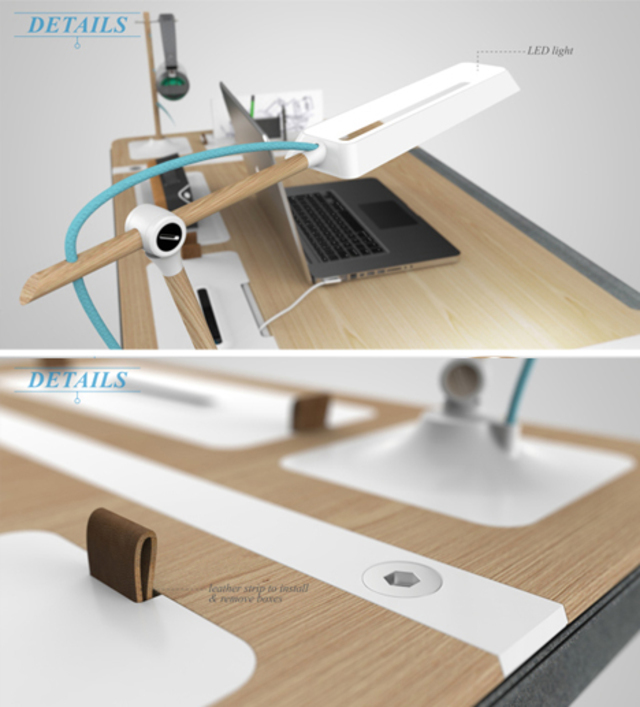 This all-in-one desk design is a cool way to have everything you need at your fingertips. 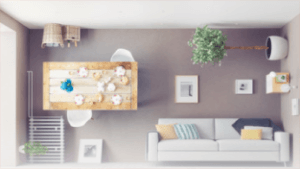 While it might seem kind of annoying that you’d need to clear your desk surface in order to access most of those hidden storage compartments, making some of the surface space unusable, the bright side is that you won’t be so tempted to tower too much stuff onto your desk in the first place.